The Green Bay Diocesan Division of the World Apostolate of Fatima, Our Lady’s Blue Army, is a diocesan chapter of the World Apotolate of Fatima, U.S.A., inc., an International Public Association of the Faithful under the Dicastery for Laity, Family, and Life (formerly the Pontifical Council for the Laity). Also known popularly as “WAF-USA” or, simply “WAF,” it is the only organization with a mandate from the Catholic Church to teach with pontifical authority the story and message of Our Lady of Fatima. Our mission is to help people learn, live, and spread the message of Our Lady of Fatima in communion with the Church and in concert with the New Evangelization. A recognized Catholic Organization within the Diocese of Green Bay, “WAF-Green Bay” is headquartered here at Ss. Peter & Paul Parish by direction of His Excellency, David L. Ricken, D.D., J.C.L., Bishop of Green Bay. Fr. Anthony Cirignani, O.F.M., pastor of Ss. Peter & Paul Parish, was appointed in 2010 by Bishop Ricken as the Division’s Spiritual Director. 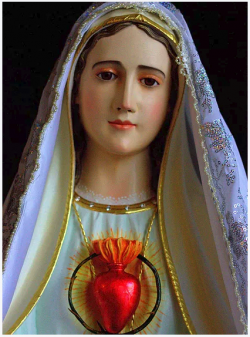 To Learn More about the World Apostolate of Fatima, Our Lady’s Blue Army, and to inquire about membership (no fees) and local activities, Contact Ryan Reif, Division President, by email at waf.gbw@gmail.com, or call Michael Lee, Secretary – WAF, USA – in the Faith Formation & Communications Office: 920.437.0651.